Backpacking quilts are rapidly gaining popularity among lightweight backpackers and for good reason. This list of quilts includes only the best. they have a big gaping hole where the full length zip should be. Removing the hood provides weight savings. It also means that you don’t get tangled in the hood during the night. In cold weather, you can wear a warm hat or use a separate, detachable, goose down hood. it is more versatile because the girth around your upper body can be adjusted according to the temperature — it can be opened up flat in warmer weather, or it can be cinched in around your body in colder weather (reduce the girth to remove cold air pockets, increase the girth to allow for more airflow and wiggle room). it weighs less than an otherwise equivalent fully-enclosed sleeping bag — this is because the down that would have filled the part of the sleeping bag squashed underneath you isn’t needed. These features (no hood, no zip) and their consequences (less weight, more comfort, more versatility) mean that backpacking quilts are rapidly gaining popularity among lightweight backpackers. 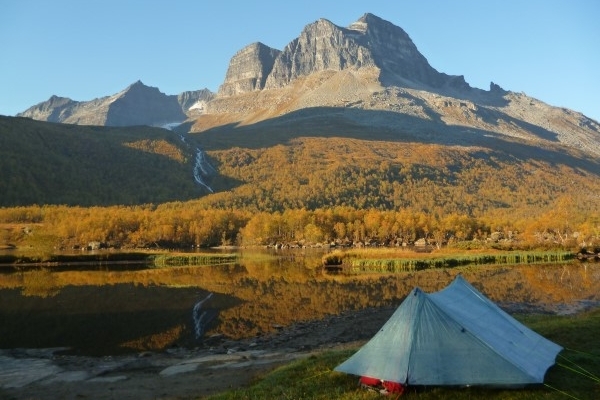 Personally, we think that backpacking quilts are EPIC! But they aren’t suitable for absolutely all environments. We find that backpacking quilts are generally comfortable down to about 35°F (2°F) — in other words just above freezing. Once the temperature drops below freezing we usually opt for an enclosed sleeping bag that makes it easier to prevent drafts. This can be a hoodless sleeping bag, or for a traditional mummy sleeping bag with an attached hood. Alright, we get it already, backpacking quilts are great. But which quilt should I consider buying? 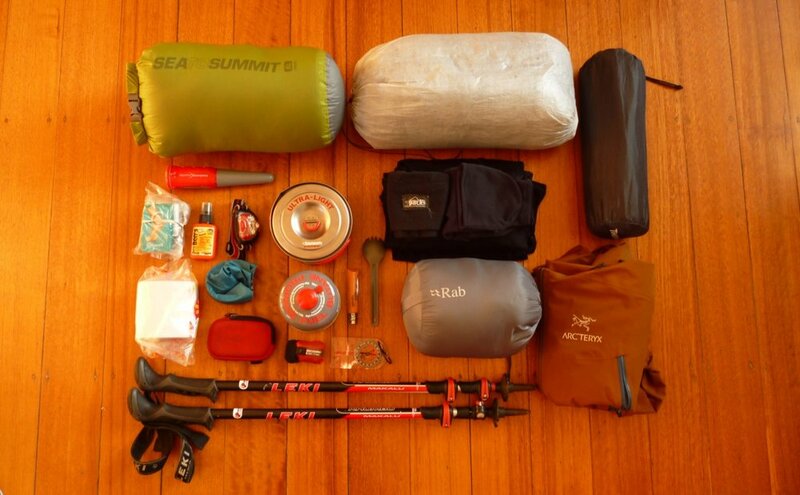 In this article we focus on reviewing the best backpacking quilts currently on the market. 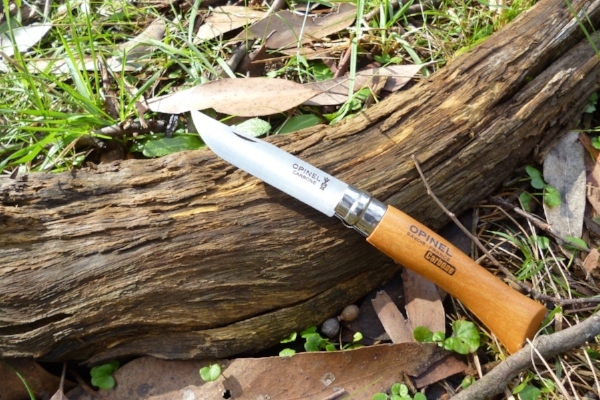 All our entries are high quality and designed for ultralight or lightweight backpacking. Currently, two of the most popular quilt manufacturers are Katabatic Gear and Enlightened Equipment, both of whom feature in our list below. A common question is who wins out in a Katabatic vs Enlightened Equipment showdown. As described below, we believe Katabatic Gear has an edge in performance and functionality. We believe they make the absolute best backpacking quilts around. But, all Katabatic Gear quilts are expensive. On the other hand, Enlightened Equipment offer some cheaper spec models that still perform brilliantly and are therefore perfect for those on a budget. However, if you are looking to save even more dollars, then be sure to check out the Hammock Gear Economy Burrow. It is an absolute steal cost-wise, and only makes a few small sacrifices compared with the premium quilts. Nunatak is also an awesome quilt manufacturer that is sometimes overlooked, and their Arc UL model we review below is epic. The specs we list for the backpacking quilts below are based on a quilt suitable for a 6 foot tall male with average girth (i.e. a quilt of about 54" width when laid flat). And don't forget to check out our backpacking quilt buying advice at the bottom of the page before making a decision. Note that this review only includes backpacking quilts (i.e. 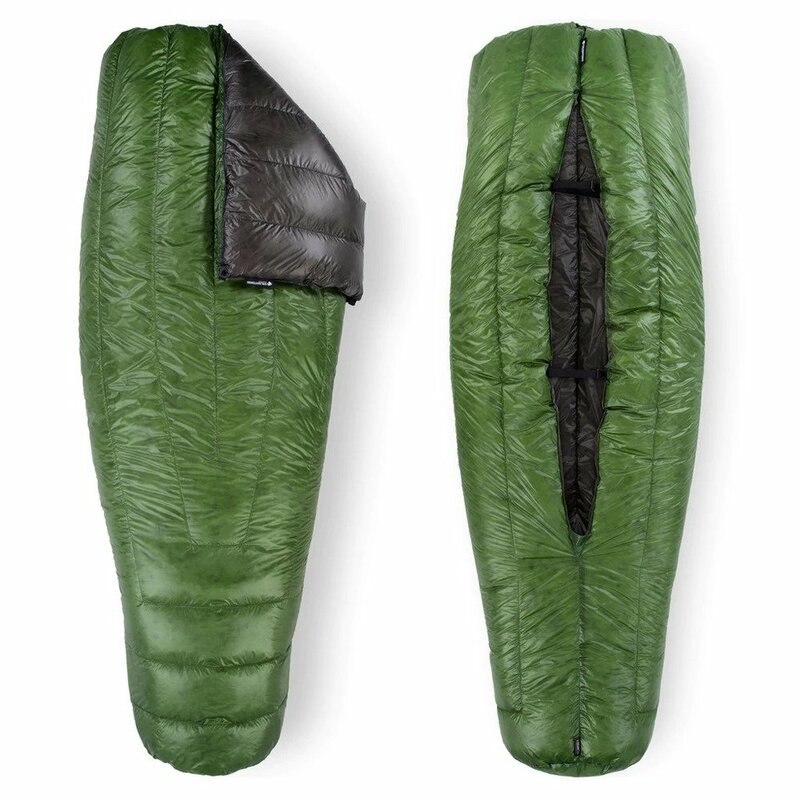 without a full length zip) — if you are also potentially interested in a hoodless sleeping bag (i.e. with a full length zip), then see our review dedicated to the best hoodless sleeping bags on the market. Although relatively pricey, Katabatic Gear quilts are hands down the best ultralight backpacking quilts on the market. They are very well made and with a number of thoughtful design features that dramatically improve warmth and performance. The Alsek is part of Katabatic Gear's Elite range of quilts, which have a sewn in footbox, tapered mummy shape, and a differential cut in each baffle to help avoid cold spots. The Alsek includes a full draft collar which improves warmth retention in cold weather and also gives the quilt a much cosier feel. The opening on the underside of the quilt is elasticated, meaning that there is greater draft control when you are turning over. Katabatic Gear also use a novel patented pad attachment system that provides much greater draft control than the pad attachment systems found on the quilts of most other manufacturers. Although it can be a bit fiddly to use, this system is much more effective at securing the edge of your quilt from cold drafts when temperatures really drop. This means that the Katabatic Gear quilts can generally perform better in colder conditions compared with the competition. If you would prefer a zippered footbox so that the quilt can be opened up flat like a blanket, then check out the Flex range of Katabatic Gear quilts. 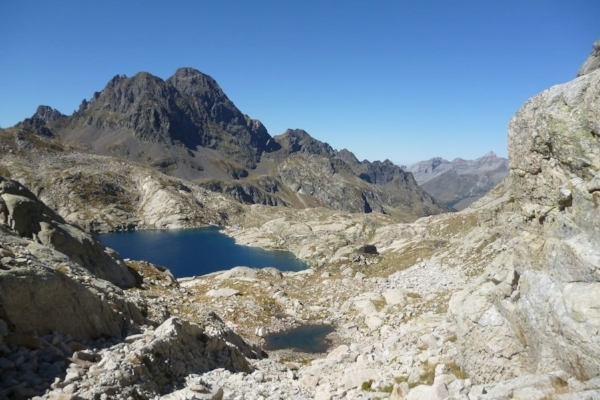 For more than 15 years Nunatak has been making down equipment for ultralight backpackers. Don't be fooled by their relatively lo-fi website, these guys mean business when it comes to ultralight backpacking gear. The quality of their products is high, their designs are innovative, their customer service is great, and best of all nearly every feature of their product line can be customised. The Nunatak Arc UL 20° is part of their Ultralight quilt series. The Arc 20° has a sewn in footbox to maximise warmth and weight savings. Note however, that their 30° and 40° quilts in the ultralight series allow the choice between a sewn in or zippered footbox. A range of liner (from 10- to 20-denier) and shell (from 7- to 15-denier) fabrics are available. The quilt can be secured directly under your body with the supplied straps, or attached to the pad using the simple pad attachment system with two clips on each side. This attachment system is basically the same design as used on the Enlightened Equipment quilts. It works well in all but the coldest temps (when small drafts begin to matter). Nunatak are generous with the quantity of down they stuff into this quilt. Combine this with a full draft collar, and the Arc UL 20° is very warm for a 20F rated quilt. We also love that almost every feature on their quilts is customisable. Check out their quilt comparison chart for a full description of their quilts and options. The Hammock Gear Economy Burrow is a well designed and quality built quilt that is available at a bargain basement price. This is the perfect quilt for those on a budget. The only sacrifice here is a 4-5 ounce weight penalty, attributable to the use of a slightly lower fill power duck down (800+) and slightly heavier (20-denier) outer shell material. Note however that these are specific design choices made by Hammock Gear, so that they can offer this quilt at an unbelievably low price. 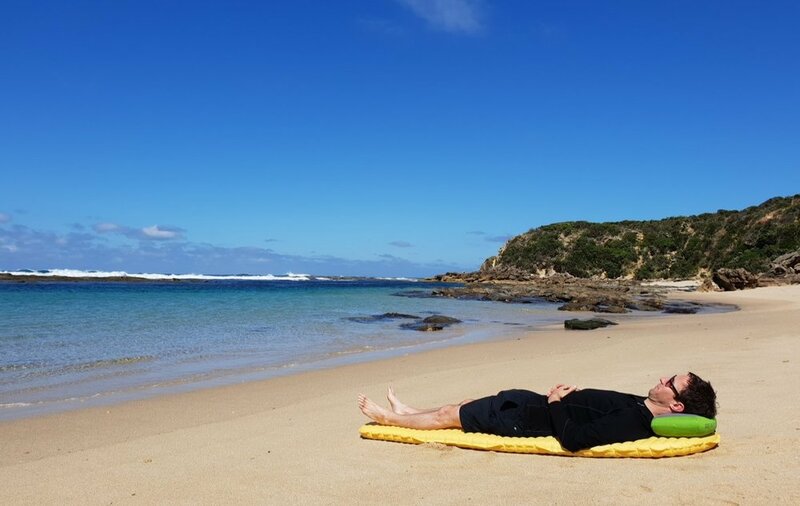 Hammock Gear offer plenty of options for customisation, including inner and outer shell colours, temperature ratings, down overfill, and the choice between a zippered or sewn footbox. Note that if you are planning to sleep with the quilt on the ground (i.e. not in a hammock) then select the “wide” width (at 55 inches). The standard width for Hammock Gear quilts is tailored for hammock use and not ground sleeping. If you are willing to pay extra to save a few ounces of weight, then Hammock Gear also offer a premium quilt range. The Hammock Gear Premium Burrow is made with either 850 or 950 fill-power goose down, and a 10 or 15-denier outer shell. Choosing the Premium Burrow instead of the Economy Burrow will save you about 4-5 ounces (depending on the model you choose). This puts the Hammock Gear Premium Burrow on par with the competition in terms of weight. However, as you would expect, the higher fill-power and lighter shell leads to increased cost meaning the Premium Burrow doesn’t have the same “Best Buy” status as its sibling the Economy Burrow. So if you are looking for the best buy on a budget, then the Hammock Gear Economy Burrow is the way to go. Otherwise, if you are looking for a premium backpacking quilt, compare the Hammock Gear Premium Burrow to the other quilts on our list before making your purchase. If you'd prefer to save a few dollars, then the Enlightened Equipment Enigma is a fantastic buy. Although it may not have some of the high-end features found on the Katabatic Gear quilts (e.g. 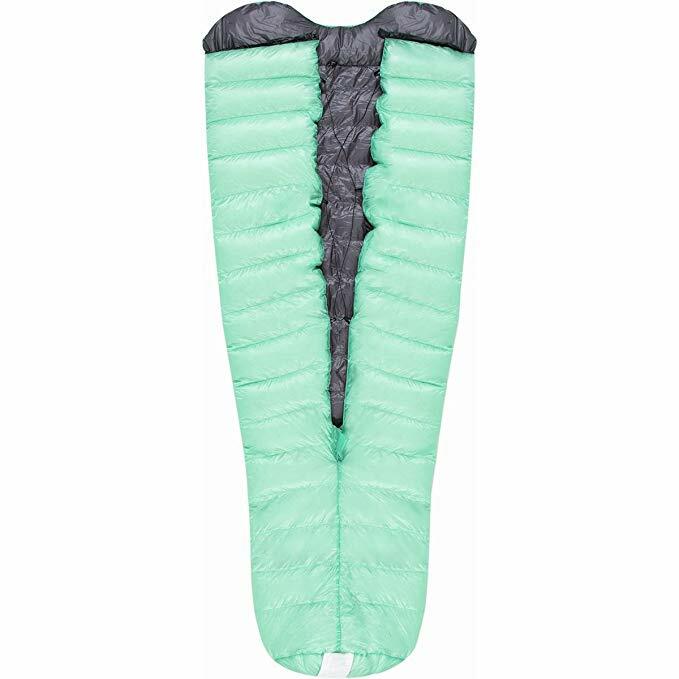 down collar, elastic binding around bottom opening, secondary cord clips on the pad attachment system) it is still a well designed, high quality, and ultralight, backpacking quilt. The "off the shelf" Enigma is made with a 10-denier ripstop nylon for both the liner and shell, with an 850 fill power down. If your budget is tight, then the Enigma — with it’s default specs — is going to be one of the best backpacking quilts you can get for your money. It is similar in specs and price to the Hammock Gear Premium Burrow. Although, the Hammock Gear Economy Burrow is slightly heavier and less expensive, owing to its lower fill-power down and heavier outer shell. If the default choice of fabric or down isn't exactly right for your needs, then Enlightened Equipment allows customised quilts that are made to order. Options include a thinner 7-denier shell fabric for additional weight savings, or a thicker 20-denier fabric if you want increased durability and water resistance, as well as the choice to use higher 950 fill power down. Similar to Katabatic Gear quilts, the Enlightened Equipment quilts can be secured in whichever way the user prefers. Sleep with the quilt unstrapped in warmer weather. Or in colder weather, bring the quilt around your upper body and secure it in one of two ways, either directly around your body using the supplied elastic straps, or to your sleeping pad using the supplied pad attachment system. Note however that the Enlightened Equipment pad attachment system does not include secondary cord clips like on Katabatic Gear quilts, and so isn't quite as effective at keeping out drafts in very cold weather. The Enigma contains a fully-enclosed footbox. This ensures there is no possibility of cold drafts in the footbox as well as providing some weight savings. However, if you would prefer a quilt that can be laid entirely flat in warmer weather, then consider the Enlightened Equipment Revelation. The Revelation is similar to the Enigma, except the foot box can be unzipped. Note that if you choose the Revelation you should size up about 6", since the length measurements are taken when the footbox is laid flat. The Therm-a-Rest Vesper 20 is an awesome backpacking quilt manufactured by a company renowned for their comfortable and innovative sleep systems. We don’t really have a bad word to say about the design or comfort of the Vesper. 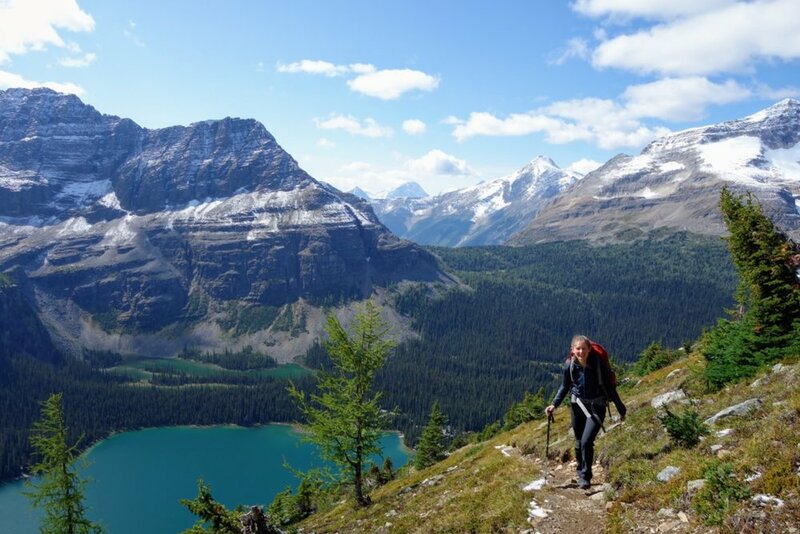 It didn’t quite make our top pick overall (the Katabatic Gear Alsek) or top pick for ultralight hikers (the Enlightened Equipment Enigma) but it sure wasn’t far behind in either of those categories. The Vesper is filled with 900 fill power hydrophobic down. Only a few of the manufacturers in our list use 900+ fill power down. Such high fill power is great because it provides the best warmth to weight ratio, however it also drives up the cost of the quilt since the fill material is a major cost component for high-end sleeping bags and quilts. Nonetheless the Therm-a-Rest Vesper still remains reasonably priced. The hydrophobic (i.e. water resistant) treatment applied to the down might also be beneficial if you plan to use your quilt in seriously damp environments or sleeping out under the stars a lot. The Vesper is made with 10-denier shell fabric. Although seriously ultralight, this is actually a slightly heavier material than most of the other competing ultralight quilts on our list, so we don’t have any worries about durability. Of course we always recommend being as caring as possible with ultralight gear to maximise its lifespan! Therm-a-Rest have designed the Vesper with a sewn in footbox to minimise weight and maximise warmth. They have chosen not to offer a zippered footbox option, which may be a deal breaker for some who value the versatility of a zippered footbox. However the Vesper is offered in two temperature ratings. The quilt we have chosen to review here is rated to 20°F / -6°C, making it suitable for most 3-season trips. But if you plan to use your quilt in slight warmer weather then consider the Therm-a-Rest Vesper 32°F / 0°C. Western Mountaineering have a long standing reputation for making some of the best quality and warmest sleeping bags on the market. But it is only recently that they have made a foray into the world of backpacking quilts. They have started with two models: the Nanolite (rated to 38°F / 3°C) and the Astralite (rated to 26°F / -3°C). The Nanolite is only going to be warm enough for summer use and in warmer climates, so here we focus on the Astralite since we believe it will be the more realistic investment for most 3-season hikers. However, although the Astralite is the warmest of their two offerings, it still may not cut it for all 3-season outings. Nonetheless, if you are looking for a seriously ultralight quilt for use in relatively predictable climates then the Astralite might be worth considering. The Astralite uses a 7-denier shell fabric with a 10-denier liner. This shell fabric is amongst the lightest used in the sleeping bag industry, so to increase durability Western Mountaineering add an acrylic kiss coating. Some of the novel design features on the Astralite include it's unconventionally shaped draft collar, that is intended to hug around your neck regardless of whether the top of the quilt is laid flat or cinched in. The footbox on the Astralite is sewn closed, which means this quilt cannot be opened up as a blanket (and Western Mountaineering have chosen not to offer a variant with a zippered box). We find this an interesting, and potentially undesirable feature of a quilt that is only going to be sufficient for warmer climate use anyway. Nonetheless, it allows Western Mountaineering to push the weight savings and warmth rating of this quilt to their limit. Overall, the Astralite is a worthy entry for Western Mountaineering into the world of backpacking quilts. It is seriously ultralight and very well made, but it is also expensive (especially for the warmth rating and fill power) and doesn't really pack enough warmth for all-round 3-season use. REI is another manufacturer to recently make a first foray into the world of backpacking quilts. Their initial — and only — entry so far, is the Magma Trail Quilt 30. It is a lightweight and well-designed backpacking quilt. 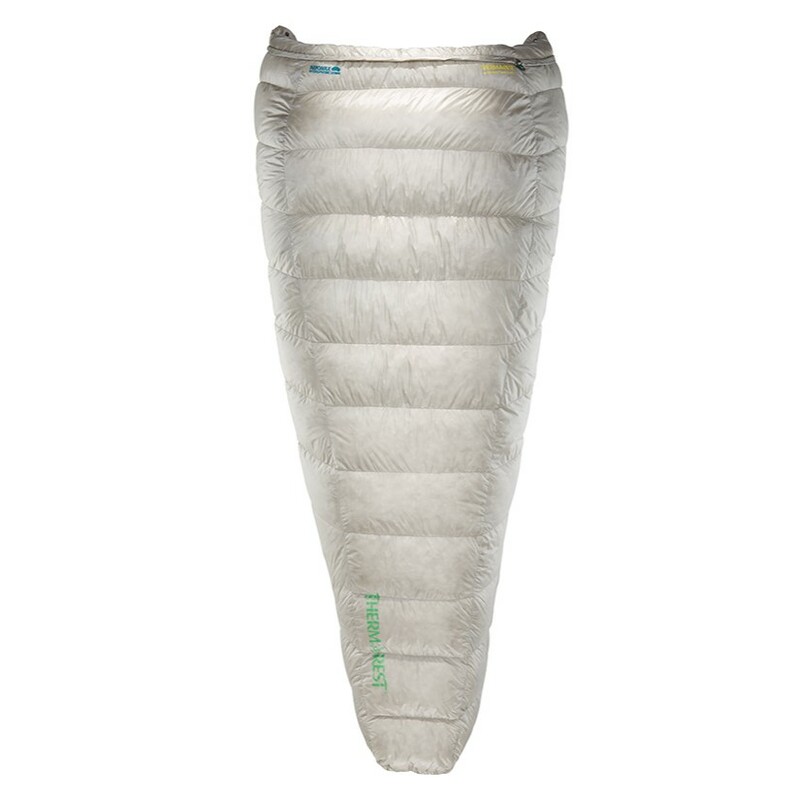 Filled with 10.5 oz of 850 fill-power goose down, the Magma Trail has been rated to 30°F. This should be sufficient for use in milder overnight temps (e.g. 45°F / 7°C or higher), but is unlikely to be warm enough for use in alpine areas or deep into the shoulder season. It is also worth mentioning that the footbox on the Magma Trail 30 is sewn in, and REI do not offer an option with a zippered footbox. This limits the versatility of the quilt, since it cannot be laid flat like a blanket. We find this particularly frustrating on backpacking quilts with higher temp ratings, since we are only likely to be using them in milder climates anyhow. Like all the other quilts in our list, the Magma Trail 30 can either be attached directly around your body using the included straps, or attached to your sleeping pad using a pad attachment system. However, REI doesn’t include the pad attachment system by default — you will need to purchase is separately. Some nice features of this quilt are the draft collar, and a flat clip used to secure the collar so that isn’t uncomfortable to sleep on. The Magma Trail Quilt 30 is a nice initial offering from REI… it is lightweight, has a small pack size, and is relatively inexpensive. However, with a temperature rating of 30°F it likely won’t pack enough warmth for all-round 3-season use. And —although it is lightweight — it’s warmth-to-weight ratio doesn’t quite compete with the other (more established) quilt manufacturers in our list. And lastly, although the price tag on the Magma Trail 30 is pretty reasonable, we believe that other manufacturers — such as Enlightened Equipment or Hammock Gear — offer better value for money. Buying your first backpacking quilt can be somewhat daunting, especially if you have always used a hooded mummy style sleeping bag. You might be flooded with questions like… Will it be warm enough? Won't I stick to my sleeping pad? pad attachment system — down to personal preference! Order your backpacking quilt and wait for your cosy new piece of kit to arrive! Use our detailed buying advice below to make sure that you don't skip a beat when looking to purchase your first (or next) ultralight backpacking quilt. A sewn in footbox is permanently closed (i.e. you cannot open the entire quilt up like a blanket). This helps maximise warmth as well as being slightly lighter than an otherwise equivalent quilt with a zippered footbox. A zippered footbox can be unzipped and the entire quilt laid flat like a blanket. When it is zipped up, the bottom of the footbox is usually cinched in with a drawstring. Some quilt manufacturers also provide a down-filled "dog bone" (a small piece of down filled material shaped like a bone) that can be stuffed into the small centre hole when the footbox is cinched in. This means zero chance of cold drafts entering the footbox. You need to decide whether you prefer to have a zippered footbox (to maximise versatility) or a sewn in footbox (to maximise warmth and weight savings). BOTTOM OPENING: The bottom opening is the trademark design feature of the quilt. We believe that a true quilt does not have a zip along the bottom opening (some manufacturers do have a zip along the bottom opening and still seem to market their sleeping bag as a "quilt"). The bottom opening is usually secured around the body using elastic straps, or the edges of the quilt secured against the sleeping pad (see our description of pad attachment systems). Note however that some manufacturers include elastic around the entire bottom opening so that it stays retains warmth better. This is a trademark feature of Katabatic Gear quilts in particular, and we believe it helps with heat retention and avoiding drafts in cold weather. The first option is to just use elastic straps or shock cords that pull the two edges of the quilt together around your body. The quilt is attached around your body, but it isn't attached to your sleeping pad in any way. This system is easier to manage, but it isn't as secure in terms of preventing cold drafts. The second option is to use a pad attachment system. This involves putting two straps around your sleeping pad and then the edges of the quilt can be attached to these straps, meaning that the quilt is secured down against your sleeping pad, rather than just strapped around your body. This is more secure against cold drafts, since the quilt stays in place when you toss and turn during the night. But it can be more fiddly to set up and to adjust. Hence, we only tend to use this approach when the temperature really drops. Also, note that not all pad attachment systems are created equal! For example, Katabatic Gear quilts use a pad attachment system with secondary clips that provide even better draft protection. However, secondary clips also means twice as many clips to deal with, so the downside is that it is even more fiddly to use. But in cold weather when even the smallest of cold drafts can ruin your night's sleep, the Katabatic Gear pad attachment system can make a difference. SHELL MATERIALS: Look for ultralight shell materials with a fabric weight of around 10-denier to 20-denier. These materials are ultralight but should have sufficient durability and "downproof-ness" (i.e. stop down escaping). 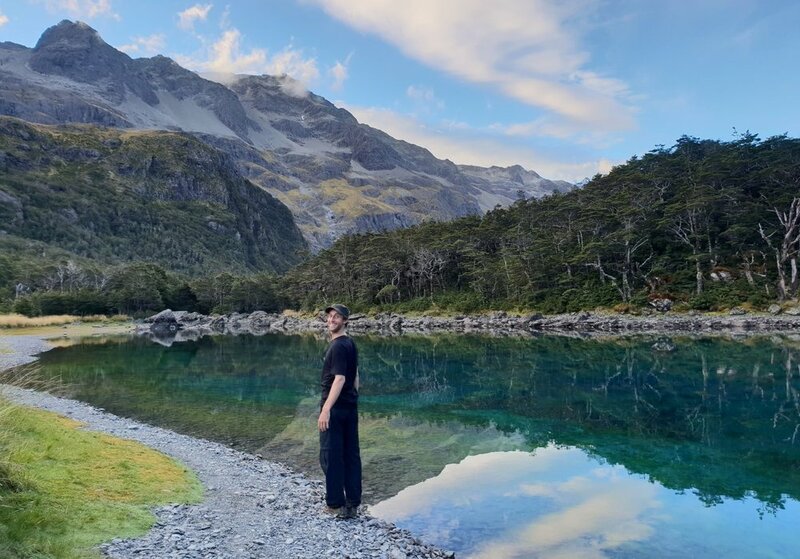 If you really want to maximise weight savings, then consider a manufacturer who offers a 7-denier shell material (for example Enlightened Equipment or Nunatak). However, 7-denier is going to be slightly less durable, and you may see the down feathers finding their way out of the bag occasionally! Look for shell materials that are either water resistant by design, or treated with a water resistant coating, for example a DWR treatment. However, if you want a bag that is going to be truly water resistant (for example for winter use) then you will need to consider 20-denier shell fabrics or heavier. COLLAR CLIP / FASTENING: When it gets cold, you will want to secure the top of the quilt (i.e. the collar) around your neck. And when the temp really drops, you will want to cinch it in tight around your neck. Most quilts have a flat clip or snap button for securing the collar, and a drawstring to cinch the collar in tight. You want to make sure the device used for securing the collar (i.e. the clip or snap button) is not going to be uncomfortable if you lay on top of it during the night! DRAFT COLLAR: Ideally you want a quilt with a down-filled draft collar. This makes the quilt more cosy and comfortable when the top of the quilt is cinched in around your neck. A draft collar also helps with heat retention. In minimising weight, some manufacturers decide not to include a draft collar. However, we think the small weight penalty of a draft collar is justified. DOWN FILL POWER: Look for quilts made with a higher fill power down (for example 800+ or higher). The higher the fill power, the better the warmth-for-weight ratio. In other words, for a given weight, a higher fill power down will achieve greater loft and therefore provide more warmth. The best quality quilts will be made with 900 or 950 fill power down. Of course, the higher the fill power, the greater the cost! So choose according to your budget. Some manufacturers who offer customisations (for example Enlightened Equipment or Nunatak) allow you to choose between several options for fill power. DOWN FILL WEIGHT: The quantity of down used in a bag can be a useful metric for assessing warmth and comparing between manufacturers. But... you must remember that it is only relative to the quality of the fill power. Less ounces of high fill power down can provide the same warmth as more ounces of a lower fill power down! Also, differences in design - for example tapered vs non-tapered cut, length or girth of the quilt, sewn in footboxes, etc - mean that comparing down quantity alone is not a sufficient guide for the warmth of a quilt. Nonetheless it is a useful and relevant metric to consider. TEMPERATURE RATING: Backpacking quilts are similar to sleeping bags in that most manufacturers provide a temperature rating. The industry assumption is that this temperature rating can be considered a "lower limit" — i.e. a temperature in which an average male wearing additional clothes would be OK (but not overly comfortable) during the night. But we don’t believe a “lower limit” type of rating is particularly useful. You are probably more interested in the temperatures you will keep you comfortable in. For this purpose, manufacturer temperature ratings are massively exaggerated. In general consider adding 20°F to the manufacturer rating. For example, a 20°F (-7°C) degree rated bag is likely to be comfortable down to about 40°F (4°C) degrees. Below that we believe you would need to be adding warmth by wearing an insulating jacket, for example. 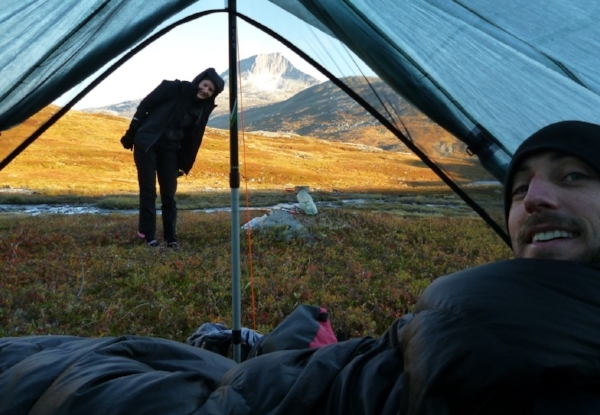 The "EN" (EN13537, European Sleeping Bag Temperature Rating Standard) system is an attempt to standardise temperature ratings across manufacturers. To some degree it does help (no pun intended). However not all manufacturers are willing to pay to have their bags EN rated so it can’t always be used as a method for comparison. If you are comparing quilts — and the EN rating isn’t available — then don't compare the warmth of different quilts using the manufacturer’s temperature ratings alone. Instead, make sure you look at the design (e.g. is it a tapered bag? ), the down fill power (higher is better), and down fill weight. These — in conjunction with the temperature rating — should give you a better idea of how warm you expect the quilt to be. 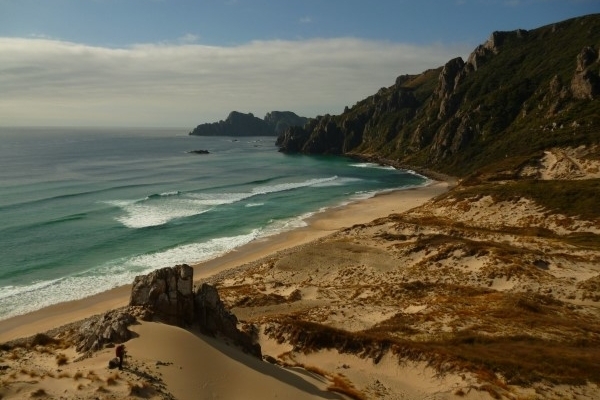 Keen To Browse More Outdoor Kit?